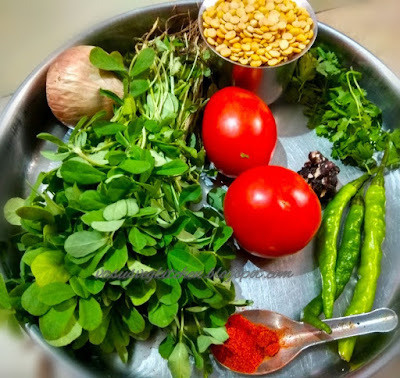 Methi dal is famous dal recipe, which is nutritious. 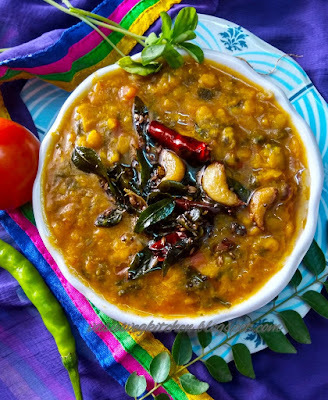 We need dal in our daily lunch, dinner along with rice and rotis. 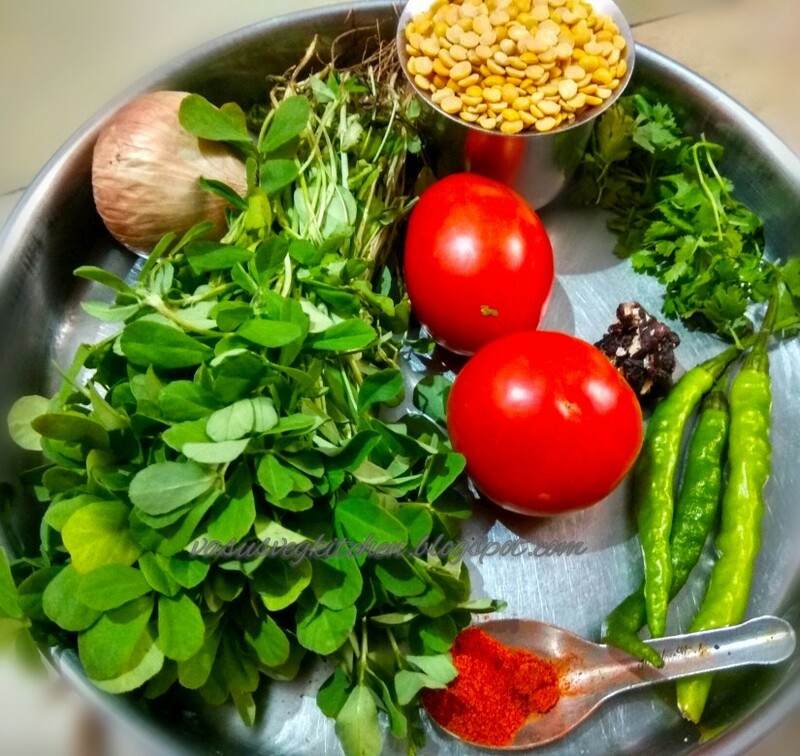 Regularly I prepare dal using palak, Methi leaves, guntur dodsakaya(cucumber). 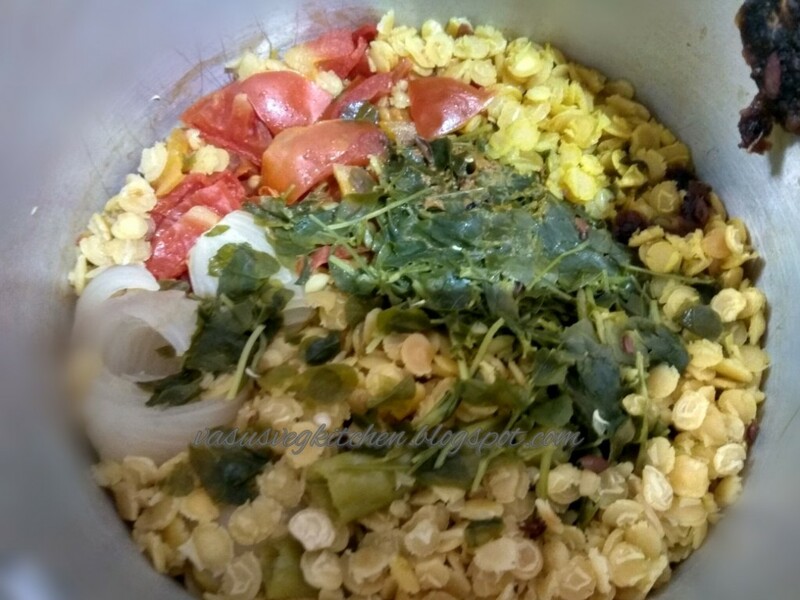 In our house we prepare dal very thick called as gatii pappu in telugu, Gatti bele in kannada. 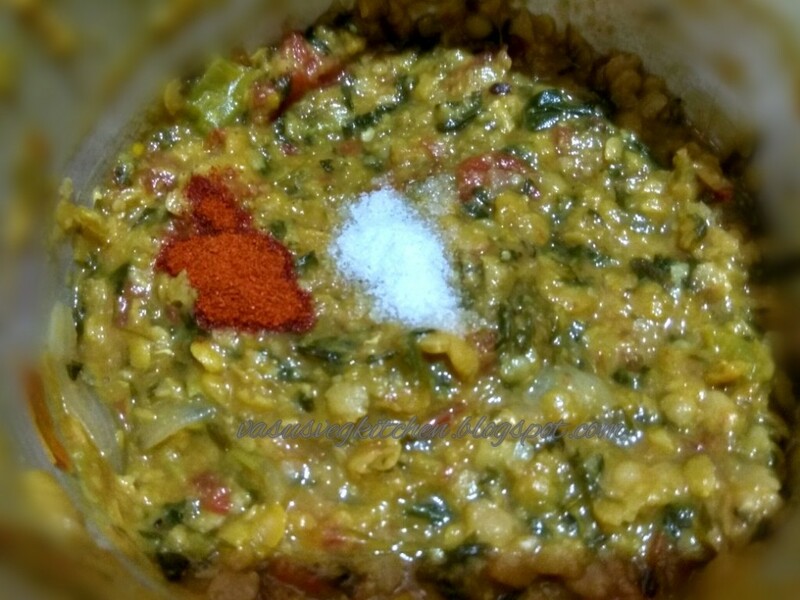 Today's my recipe is dal using Methi(fenugreek) leaves. 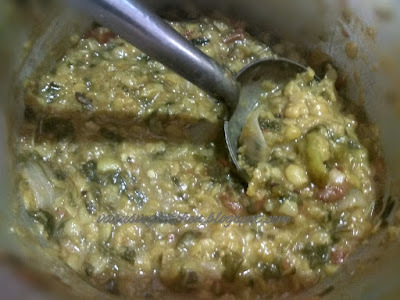 We can prepare dal in many ways, today I am posting my mother in law style pappu which i follow daily. Hope you like it. 1) Clean toor dal 2-3 times in water and soak it for 30 minutes by adding 2 and half cups of water. 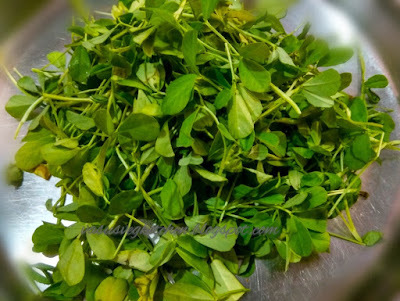 2) Take tender part of Methi leaves and clean it well in water. 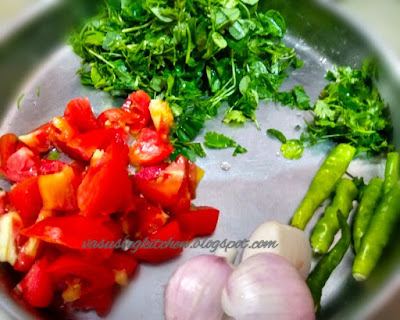 3) Now cut Methi leaves, tomatoes, green chillies, coriander and onion. Cut onion into 4 pieces. 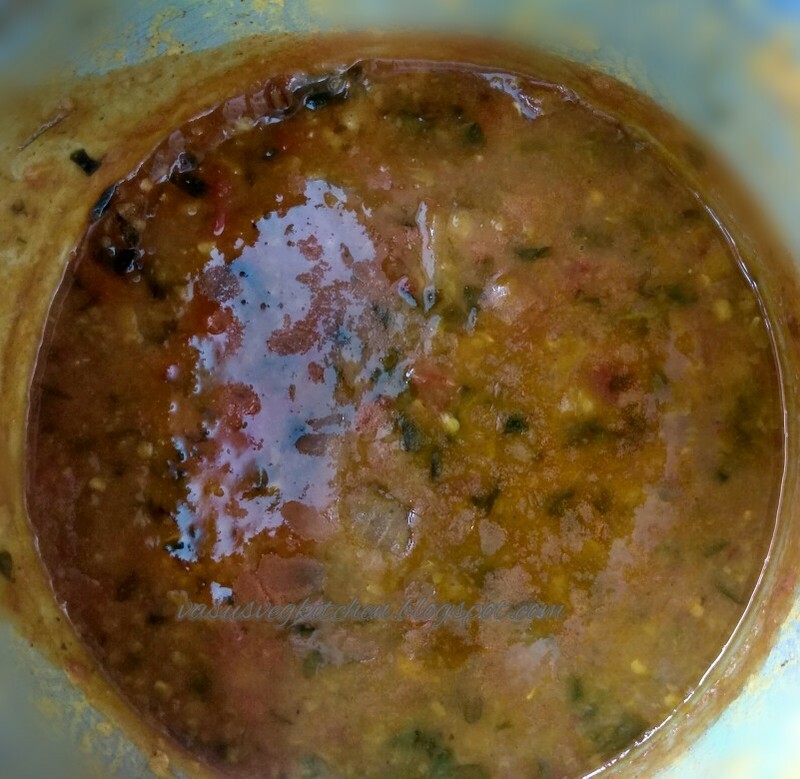 4) Add the above in soaked toor dal, clean tamarind and wash it once and attach it to one end of the cooker. 5) Also add turmeric powder, 1/2 tsp oil to the above and pressure cook it for 5 whistles. 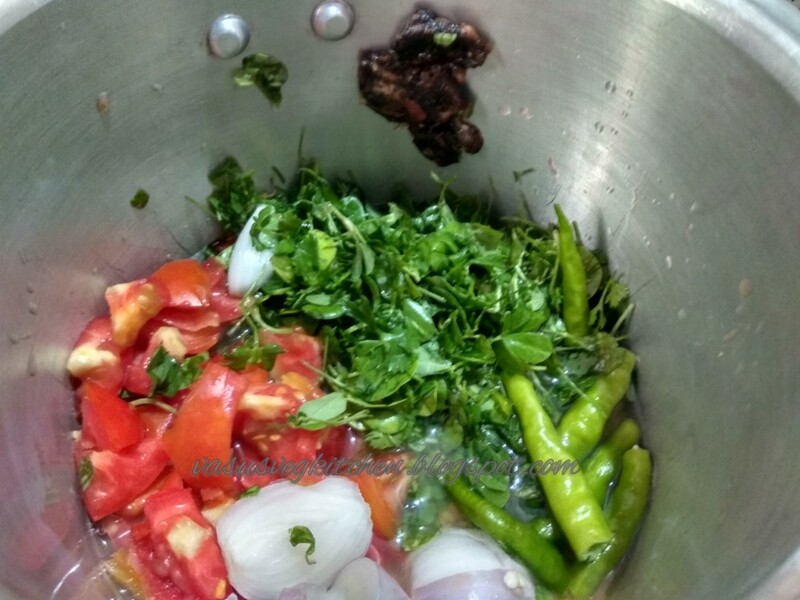 Switch off the flames and wait till the pressure is released then open the lid. 6) Mash the dal, tamarind with ladel well. 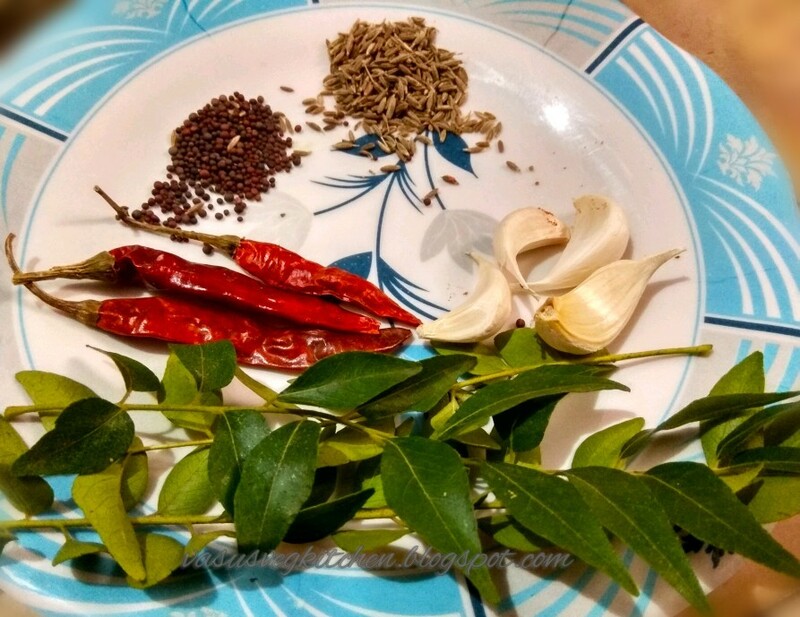 7) Add Red chilli powder, salt and mix well by adding some water. 8) Boil the above dal for 5 minutes on medium flame. 9) Take pan add oil heat it for a second then add garlic fry till it changes color. Then add mustard seeds once it splutters add cumin seeds, curry leaves, red chillies fry it well and switch off the flames. 10) Add the above seasoning into dal. 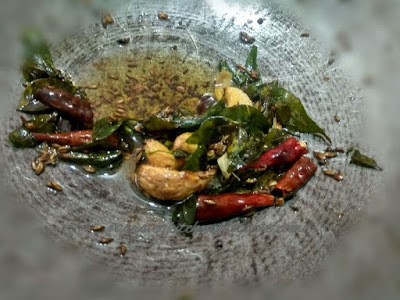 Menthi aaku pappu is ready to serve. 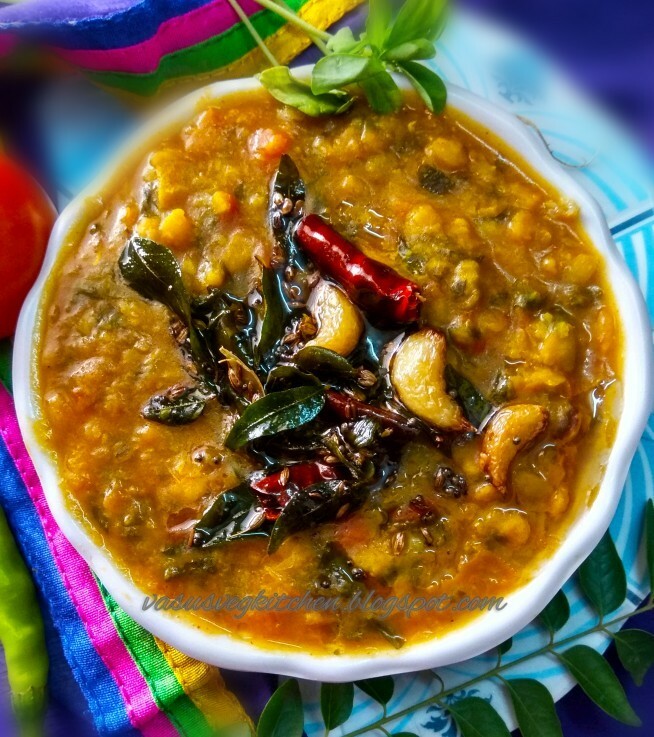 This dal/pappu goes well with steamed rice and rotis. I had Methi dal with hot steamed rice & dollop of ghee 😋😋. ◆ You can increase the quantity of methi (Fenugreek ) leaves. ◆ You can add tamarind juice after cooking dal instead of keeping tamarind in pressure cooker. ◆ Instead of garlic you can use hing/asafoetida. 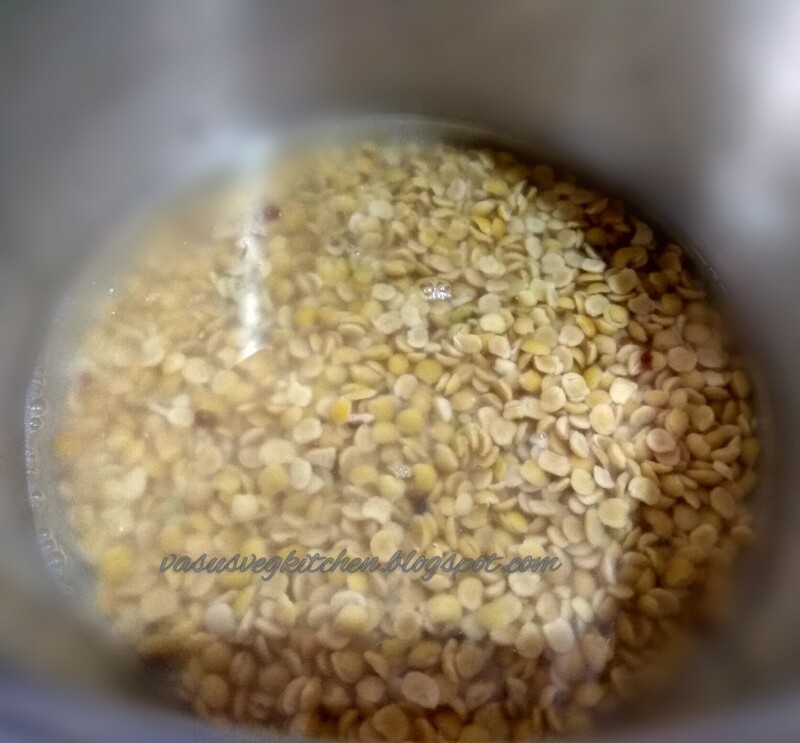 ◆ You can also add more water in dal after boiling. 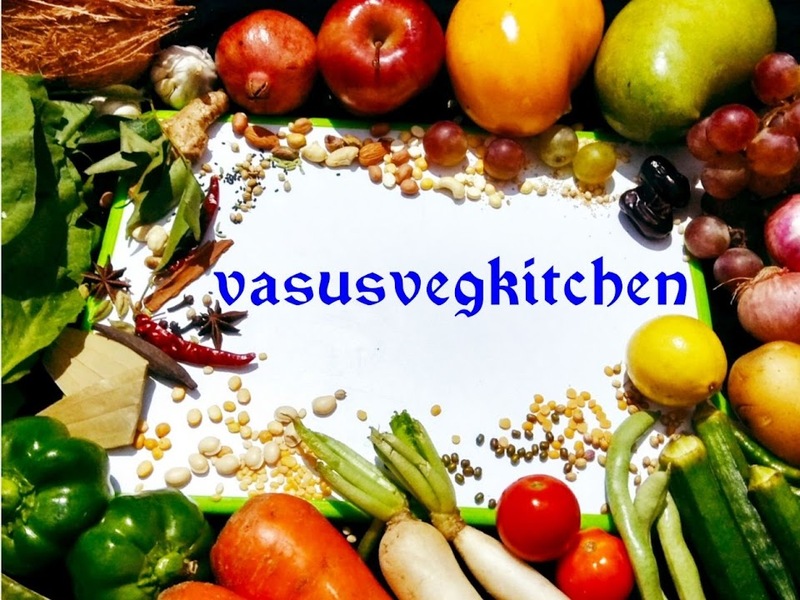 wow .. this is a really nice blog post.Thank you so much for your review.